Other Products by Beast Sports Nutrition. Search other Pre-Workouts products. 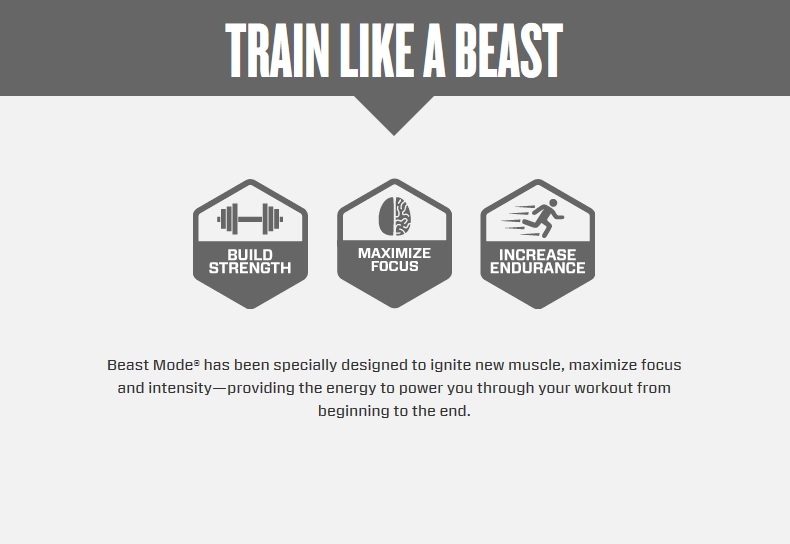 Beast Mode Pre-Workout is a unique product designed to make you train like an absolute beast. So if you're not into making the most out of your time in the gym, then this is definitely NOT the product for you. With key ingredients like creatine, glycerol and citrulline, you can be sure that muscle volumisation will be at work. Glycerol and creatine both assist in the flooding of muscles with blood and nutrients. This creates a two-tiered effect. Firstly, musles have more nutrients and oxygen to train hard. And secondly, you get a wicked pump. Glycerol actually helps you retain your pumps for longer after you've finished too. The Citrulline Malate in Beast Mode Pre-Workout is a fantastic supporter of Nitric Oxide. In fact, research suggests that citrulline works more effectively than arginine. This is good news for you, as more Nitric Oxide, or NO, means more muscle cell volumisation. Beast Mode doesn't stop there. It also contains caffeine in purified form, and also derived from Guarana, Yerba Mate and Green Tea. This means solid focus, and more energy to help you power through those sessions. Green tea also delivers a range of antioxidants to keep your health under wraps. Beast Mode Pre-Workout is one of the ultimate pre-trainers that will have you wondering how you ever became such as BEAST! 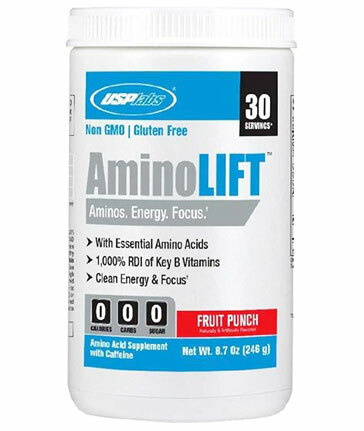 Mix 1 Scoop (8g) into 250ml Cold Water and consume before exercise. If you are particularly sensitive to caffeine, try 1/2 scoop taken before lunch time to assess your response. 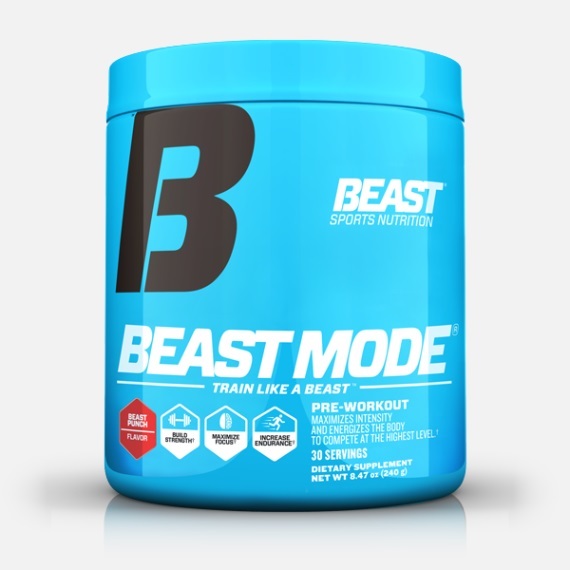 Beast Mode Pre-Workout INGREDIENTS (other): Malic Acid, Maltodextrin, Natural and Artificial Flavours, Citric Acid, Silicon Dioxide, Red Beet Powder (for Colour), Sucralose, Acesulfame Potassium. ALLERGEN DECLARATION: This product was procued in a facility that also processes ingredients containing wheat, smilk, eggs, soybeans, shellfish, fish, tree nuts.